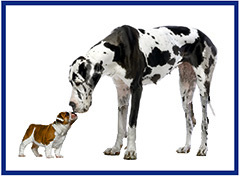 PUP Eligibility & Underwriting Changes Coming Soon! Simplification of the farm/timberland question. Previously, they asked for how many acres of timberland and/or land that is farmed. They have removed that distinction and instead ask for how many acres of land are owned or leased. All of the changes described above necessitated a paper application refresh. While doing so, they also clarified the wording on several questions and definitions. A copy of the FL New Business App and All Other States New Business App are included for your review. If you would like a copy of the renewal application, please contact your state administrator. Depending on the state, renewal applications for business effective June 1, 2018 will be mailed shortly. It is important to note that the new business applications attached (10/17 versions) should NOT be used unless you are requesting an effective date of at least June 1, 2018. They cannot accept the new 10/17 version of the new business application for any business effective prior to June 1, 2018. Additional communication, including fillable pdf versions, will be sent at that time. Cohabitating couples are commonplace today: two-thirds of couples cohabitate for an average of 31 months before marriage. But these unmarried partners may be surprised to find their significant others shortchanged under traditional homeowners insurance, which typically extends coverage only to relatives residing at the insured home or condo. Significant Other Coverage is the newest in a series of enhancements to the LexElite Homeowners policy. Other available endorsements include: LexShare® HOME Rental Coverage, Mandatory Evacuation Response Coverage, Lex CyberSafety® Coverage, Pet Critical Injury Coverage, Upgrade to Green® Residential, and LexElite Eco-Homeowner® Insurance. 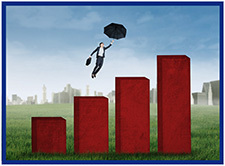 All coverages come with industry-leading LexElite claims services.